To read more about Commercial Aquaponics: CLICK HERE. 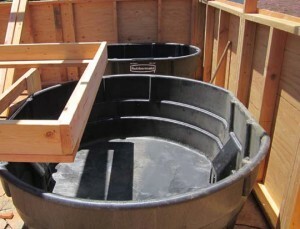 We encourage you to install one single 5 x 40 or 6 x 32 or 200 sq ft aquaponics module that feeds eight people. This will give you a chance to experiment with growing food and caring for the fish. You’ll see for yourself what foods grow well and how prolific the systems are for producing food. We call this ‘getting your hands wet’ and it’s a feasible way to launch your commercial aquaponics dreams. Becoming a commercial aquaponics farmer requires the technology information, plans, the permits, site preparation, the inspections, the ordering of the greenhouse and the thousands of small and large steps all of which are necessary. But once started on the site development and the assembling of the greenhouse everything becomes REAL and moves all the plans into actions. This is always a very exciting time for our new customers and brings a sense of ‘this is real’ for everyone involved. All construction projects (large and small) require planning and careful execution to build that dream to completion. Every new building is surrounded with a glow and an energy that is very difficult to describe and yet everyone knows the feeling of accomplishment and the energy that result when carefully executive plans come together and begin to materialize. 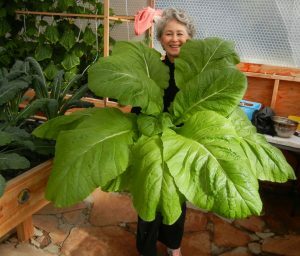 • Design the climatically adapted greenhouse which, by the way, is THE MOST EXPENSIVE component of any new Portable Farms® Aquaponics System’s installation. 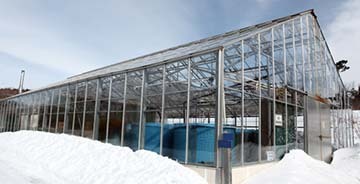 You will be required to have your installers build the greenhouse to PFAS LLC’s specifications to assure the protection and health of the plants that will be growing inside. We strongly suggest you consider leasing/renting an empty greenhouse in their area to start with, if at all possible, instead of paying for land and a new greenhouse to be installed on their site. Leasing an empty greenhouse is a far more affordable option. • Schedule the time with PFAS LLC for the Portable Farms® Kits to be delivered to the construction site and to have the Portable Farm’s® onsite construction foreman there to train your assembly crews. 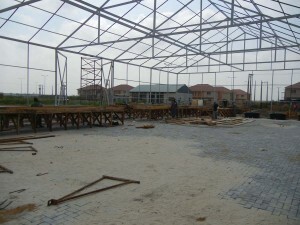 Upon completion of the greenhouse(s), assure the materials for the assembly of the Modules (lumber and fish tanks, etc.) will be delivered on time to the site for the assembly crews who are being trained by the PFAS LLC’s foreman. Ordering your fish and arrange for the baby fish (fingerlings) to be delivered upon completion of the first set of Modules. The greenhouse will be a climatically adapted structure design and built to house the plants and fish in an environment where the temperature is maintained between 45° and 104° F (6 and 40° C). All air intakes, or anywhere air comes in, will have screens installed to keep out the bugs, dirt, dust and rain. Idea growing temperatures are in the mid-80’s F.
There should also be shade cloth installed on the ceiling and/or sides of the greenhouse to insure the plants do NOT have direct sunlight on them or on the gravel. There will be exhaust fans and circulating fans to insure the air is fresh and circulated at all times. Provisions for cooling must be made for very hot weather. In some very cold climates some heating will be required. These requirements are part of the normal greenhouse design and building. The construction team on the ground (who will build the climatically adapted greenhouse structure) can begin as soon as the design is approved and funded. This will speed up the entire process. You have agreements with new customers ready to accept your produce when the plants and fish are ready for harvest and delivery. The availability of vehicles and other items need to be in place because the harvest of vegetables can begin is as little as five weeks after the Portable Farms® Aquaponics System is turned on and running water with plants and fish in place. To ensure your projects stays on schedule, we require a defined lead time for your order to insure your Portable Farms® Kits will be available for delivery to your site on time. Production runs are scheduled to coincide with construction projects spread throughout the world, and because of this, PFAS LLC has the flexibly, if your project is ahead of schedule, to shorten the shipping time to meet your needs. Part of the documentation provided to our customers is a complete list of materials needed to build all the Modules. Once the greenhouse near completion, the materials need to be delivered to the job site and ready for the Assembly Crew to begin construction the moment the PFAS LLC construction foreman arrives. 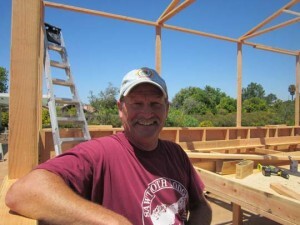 A crew of experienced builders can assemble 32 or more Portable Farms® Aquaponics System Modules in five or six days. These modules are not hard to build if all the materials are onsite and easily available. The main criteria for constructing the modules is that the Grow Tables are built to be VERY Strong and absolutely level. A single Commercial Portable Farms® Aquaponics System Grow Table (40ft in length) weighs over four tons (9,000 lbs). Careful planning and ordering supplies of seeds, growing medium and fingerlings (fish) begins the moment the funding is in place. Finding a source of fingerlings is critical because the fish poop is needed as soon as the Modules have water running through them. The plants in the Grow Tables can grow and survive for a week or so without fish in the system, but any longer and the lack of nutrients will stunt their growth. At PFAS LLC we like to say, “If a plant has a happy childhood, they will grow to be a healthy plant.” So, please be ready to install your fish as soon as possible after the water is running in your modules. Besides, the fish are tiny while the first planting of vegetable are tiny. They start off together and grow quickly. The small fish provide the perfect amount of nutrients for the small plants. Everybody’s happy. 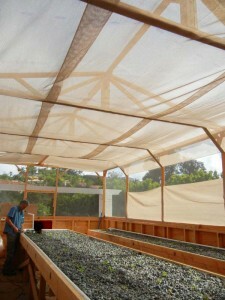 Now is the time to start your commercial aquaponic’s project. Send us an email detailing the size and your funding time frame and see how quickly you can be in the business of supplying locally grown, pesticide free food to the local high end markets in your area. When your funding is in place contact Colle Davis, EMAIL, to discuss your project and time frames. Good day, am writing from Ghana, very interesting, am really interested in Commercial aquaponics, where can I be effectively trained and the cost. We offer an online course. Please visit our website. Djoued: How can we help you? We sell training and technology for aquaponics. I am writing you from Lagos, Nigeria due to my interest in Commercial Aquaponics and at the moment researching if the financial investments into a commercial Aquaponics system like Portable Farms Aquaponics Systems is worth it. I understand a Portable Farm was setup in Lagos, Nigeria some years ago. Can you confirm to me if the farm is still in operation and if still in operating, would it be possible you put me in touch with the owner/operator? The commercial installation is Lagos is still in operation, the owners only supply their own hotel restaurants with produce and it is not open to the public. That was their decision, not ours. Hi greetings! I’m in the process of purchasing a land to run my aquaponics in but i’m faced with the problem of tools and installation technician.. please do you provide that service? I would love if someone could fix everthing up while lecturing the worker so every detrimental mistake is avoided. Medina: We sell technology and online training for growing food in aquaponics. Great technology. I’ve been considering this for awhile. Thanx for the videos and for sharing your insight. Greetings, I want to know what it will cost to have a small scale or commercial aquaponics installed in my green house here in Nigeria? I need detailed cost. First the Price List will give you a general idea on scaling up to your desired size. 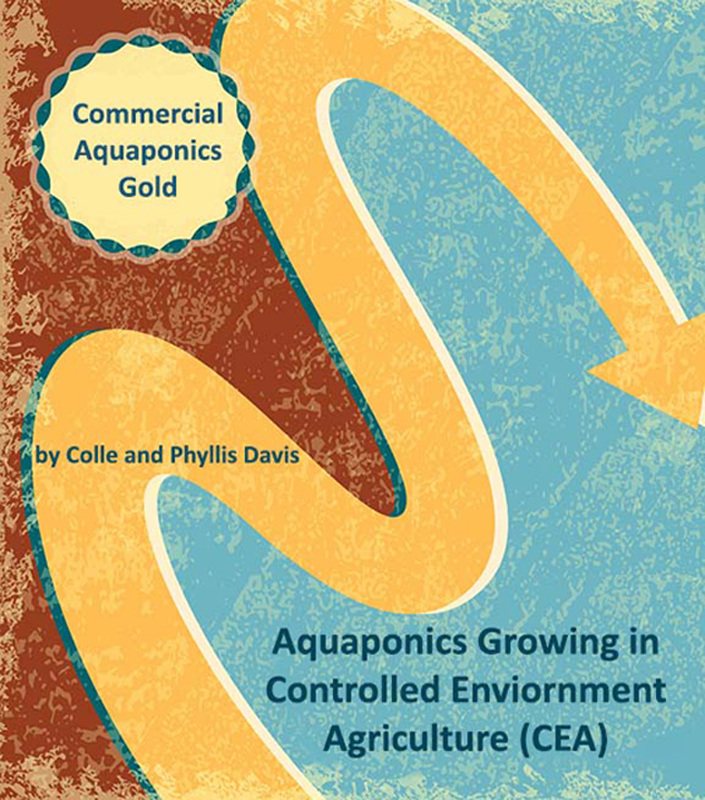 Second, buy the Commercial Aquaponics GOLD which covers commercial installations. The cost is in the climatically adapted greenhouse. Hi, just came across your videos and then site while browsing for aquaculture information. I live and work overseas in the Sultanate of Oman and would be interested in a commercial operation. Initially, the aquaculture idea is what I was interested in but the combined aquaponics system is both more sustainable and appropriate in a country that imports over 80% of its food! My wife is from here so we will probably stay here for many years to come and this is a plan I have for a career and retirement, not to mention contributing to the food security of this amazing country. First step in your process, no matter what size installation you actually put in place, is to complete the Aquaponics University Portable Farms Aquaponics Systems Course© so you have a deep understand of what is involved in the technology and what you have to put into the process. On this website there is a section called COMMERCIAL AQUAPONICS detailing what is involved in building commercial installations in any country in the world. Read that to begin with and realize that you have actually asked for three different levels of involvement with the Portable Farms® Aquaponics Systems. The other facet of your question has to do with investment and you need to look at spending a minimum of US$300,000 for 1,000m2 installation. If you have that available let us know and we will have a conversation. Do you guys offer the Deep Water Culture systems for commercial use ? We only offer the medium based systems both in the backyard system size and the commercial size. The labor cost is very different (higher) in a Deep Water Culture and all of these type systems have a single point of failure for the installation so they require an engineer on staff to fix things. The Portable Farms® Aquaponics Systems is modular and has NO SINGLE POINT OF FAILURE and can be operated by semi-skilled labor. Thank you for the kind words. There are two answers to your question of ‘leaving behind’ the completed PFAS installations. 1) Yes, go ahead. You will need to train two competent people (preferably women/girls) to operate the system. The local seeds will work in place of imported seeds. The only real restriction is the grow cubes, which are available nearly everywhere in the world and are not expensive, because we have not found a ‘local’ substitute for them yet.- Problem – the ‘operators’ must be selling some or most of their output to pay for ongoing expenses or they will abandon the installation. The PFAS must be seen as a business not as a garden for personal use. 2) Not a good idea because in too many cases it is like leaving behind a vehicle that requires petrol. The vehicle runs well and everyone loves it UNTIL the petrol runs out. Case in point: There is an NGO that drills wells (boreholes) in Africa, installs a diesel powered pump and supplies 3 barrels of fuel and leaves. The villagers love the new well (borehole) until the petrol runs out and then they abandon the well and are angry at the NGO people for letting them lick the lollipop of goodness and not leaving the means to maintain that flavor. Go for it! Get your hands wet and when you leave each installation in the hands of competent women, rejoice in knowing you have made a tiny contribution to their lives forever. I trust this helps in some way.